Pharmacoresistant epilepsy, by some study estimates, accounts for between 15% and 22% of patients with epilepsy.1 The condition does not allow for its patients to be treated with antiepileptic drugs, complicating treatment methods as well as outcomes because the condition is not well understood. However, the innovative and aggressive approaches to treating pharmacoresistant epilepsy taken by physicians in the Department of Neurology within the Weill Institute for Neurosciences at the University of California, San Francisco (UCSF), have helped bring resolution to a particularly difficult-to-treat case and illuminated new possibilities in surgery as a treatment modality. 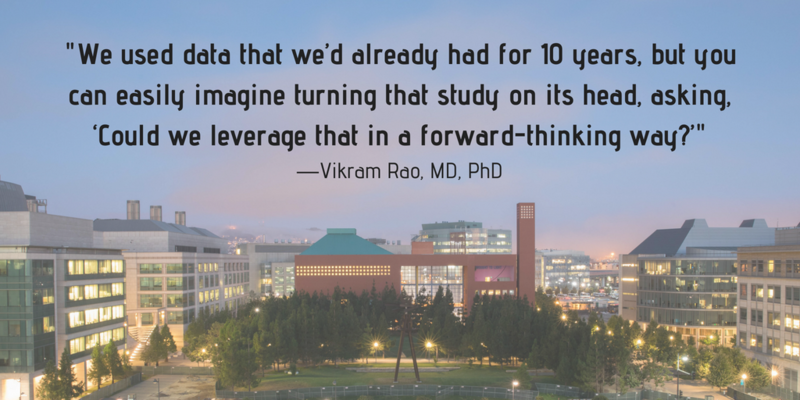 The UCSF group of Vikram Rao, MD, PhD; Paul Garcia, MD; Edward Chang, MD; and Robert Knowlton, MD, have found a means to achieve seizure remission—and even predict future seizure activity. “Based on reports to the National Association of Epilepsy Centers, most US programs have not increased their surgical volumes substantially over this time [of 2008 to present],” Garcia told MD Mag. In a similar breadth, recently completed and ongoing trials have studied alternatives to open surgery to compare efficacy in eliminating seizures, reducing adverse effects, maintaining functionality, and improving patients’ quality of life. Chang, Garcia, and Knowlton participated in such a recently published study, in which stereotactic radiosurgery (SRS) was compared with anterior temporal lobectomies (ATLs) for patients with pharmacoresistant unilateral mesial temporal lobe epilepsy (MTLE).3 After 36 months of postoperative observation, 16 of the patients who underwent SRS (52%) and 21 of the patients who received ATL (78%) achieved seizure remission. The authors concluded that open surgery should remain the choice in treating unilateral MTLE but that SRS is a reasonable, effective option for patients with contraindications and/or fear of open surgery. The radiosurgery’s mechanisms, though, remain a mystery. For example, the verbal memory scores of patients improved for the SRS group only at the earlier time points, Garcia said. By the time the investigators assessed the primary outcome—after SRS had been given enough time to work—verbal memory appeared to be the same in both groups. But even that knowledge came with a caveat. “The small number of patients limits our ability to say this with confidence,” Garcia said. Nevertheless, between SRS and open surgery, having additional options proved useful for the UCSF team when they came across an unusual patient: Kimberly Bari. Bari began experiencing the sudden onset of intense and increasingly debilitating anxiety and instinctual phenomenon, and while those conditions were later determined to be frequent focal seizures with impaired awareness with a diagnosis of autoimmune limbic encephalitis, her experiences quickly became an enigma. When Bari presented at UCSF, the frequency and severity of her seizures were not being adequately managed with medicine. Rao, Knowlton, Garcia, and Chang were immediately drawn to her case. Rao explained that having inflammation in the hippocampus and the amygdala can cause patients to experience intense anxiety, fear, déjà vu, and other similar symptoms. Likewise, inflammation in the insula can result in symptoms such as hypersalivation, throat clenching, and paresthesia on 1 side of the body. Either type of inflammation can prove difficult to manage for the patient experiencing them. “Kimberly had all those things,” Rao said. To address these issues, the UCSF team determined it was best to perform surgery on Bari to remove the front part of her insula as well as the front part of her temporal lobe. But the seizures did not cease. Subsequent pathologic examination found additional evidence of active inflammation in the remaining tissue, so Chang and colleagues performed a second surgery, this time conducted while Bari was awake, to remove additional tissue and scar tissue that continued to produce seizures while preserving her speech functionality. The device’s electrodes serve to “listen” to brain activity continuously, and when they hear an abnormal pattern of activity—the activity that leads to a seizure—they respond to that detection by delivering electrical stimulation, Rao told MD Magazine®. The capabilities of the NeuroPace RNS device include the power not only to effectively block seizures in patients with uncontrolled epilepsy but also to bank data on chronic recordings of brain activity. For a study published in a recent article, Rao, Chang, and colleagues performed a retrospective analysis of the rate of seizures with interictal epileptiform discharges of 37 subjects at UCSF and a neighboring center in San Francisco, who had been implanted with the NeuroPace RNS device for up to 9.9 years (median, 2.3 years).4 They found that the rates of interictal epileptiform activity (IEA) were not constant but that they oscillated with a certain periodicity—not only with circadian cycles but also fluctuating over weeks or close to a month. This, according to Rao, raises many questions about what causes the fluctuations, including questions about their significance. “When we looked at the timing of the seizures in relation to the rhythms, we realized that the rhythms actually organize the seizures, that the seizures tended to preferentially occur on the rising phases of those oscillations, near the peak but just before it,” he said. “In a way, if you wanted to know when a given patient was most likely to have seizures, you’d want to know where they are in their oscillation phase,” Rao added. The fact that the study was retrospective made the realization only more intriguing and, ultimately, innovative. 1. Picot MC, Baldy-Moulinier M, Daures JP, et al. The prevalence of epilepsy and pharmacoresistant epilepsy in adults: a population-based study in a Western European country. Epilepsia. 2008;49(7):1230-1238.doi:10.1111/j.1528-1167.2008.01579.x. 2. Englot DJ, Ouyang PA, Garcia NM, Barbaro NM, Chang, EF. Epilepsy surgery trends in the United States, 1990–2008. Neurology. 2012;78(16):1200-1206.doi: 10.1212/ WNL.0b013e318250d7ea. 3. Barbaro NM, Quigg M, Ward MM, et al. Radiosurgery versus open surgery for mesial temporal lobe epilepsy: the randomized, controlled ROSE trial [published online March 30, 2018]. Epilepsia.doi: 10.1111/epi.14045. 4. Baud MO, Kleen JK, Mirro EA, et al. Multi-day rhythms modulate seizure risk in epilepsy. Nat Commun. 2018;9(1):88.doi: 10.1038/s41467-017-02577-y.